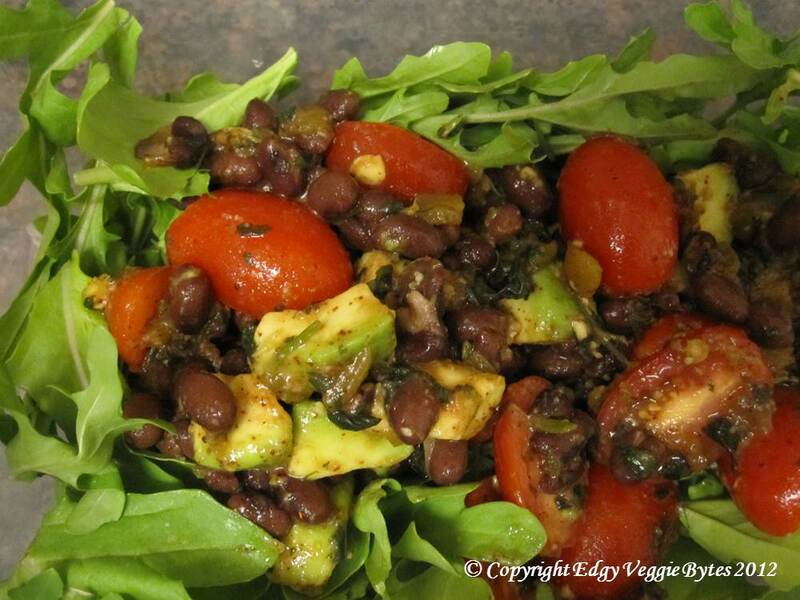 This is a great summer salad that has a nice mix of spicy, sour, and smooth tastes. You can vary the spiciness by the amount of pepper, but also by the type. I alternate between jalapenos, poblanos, and the long, thin green chilies, Also, there’s enough lime juice in the salad to keep the avocados from turning black after cutting, but I would still add them as close to eating time as possible. 1. In a large bowl, mix the black beans, green chilies, lime juice, cilantro, ancho pepper, tomatoes, bell peppers, salt, and pepper. Refrigerate until ready to serve. 3. Right before serving, gently mix in the avocado. Serve on a bed of arugula and top with walnuts (optional).